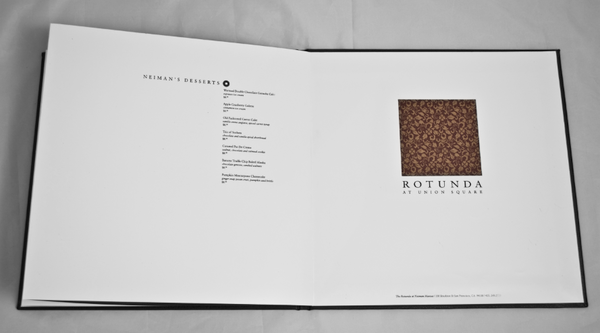 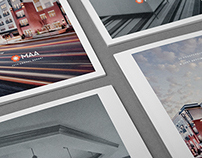 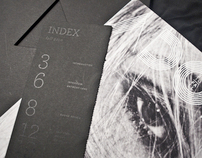 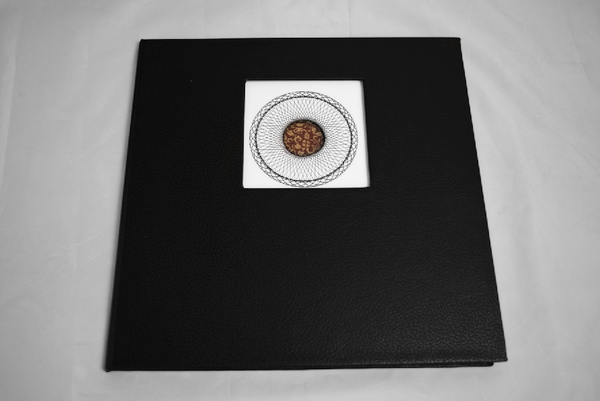 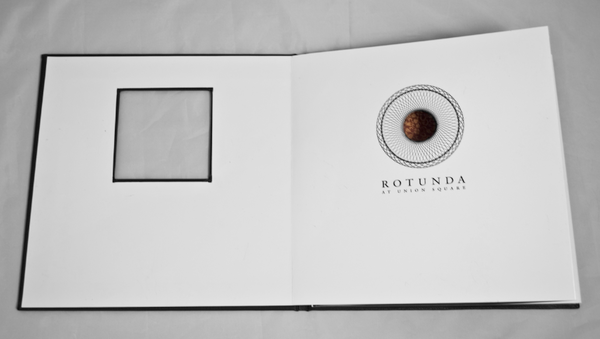 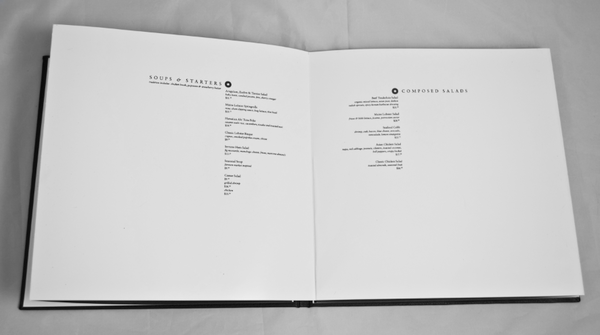 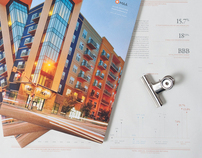 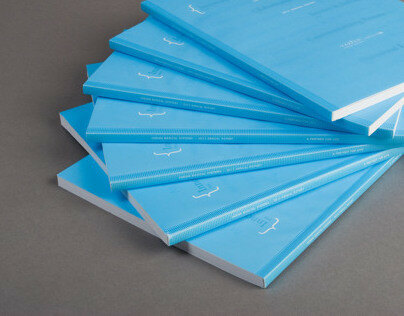 Handbound conceptual menu design for Rotunda restaurant located in San Francisco at Union Square. 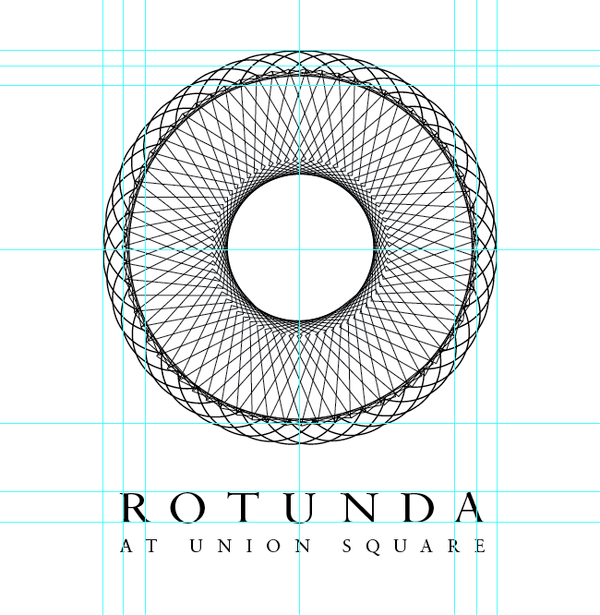 My concept was to pull together Rotunda (meaning round) and its location in the heart of Union Square. 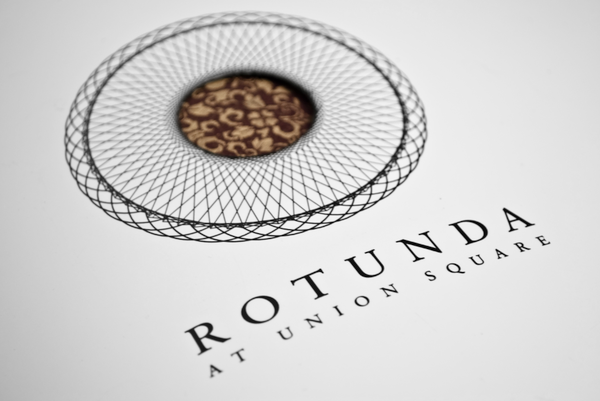 My design is structured from my round geometric logo design which resembles the stained glass found at the high ceiling inside of the restaurant. 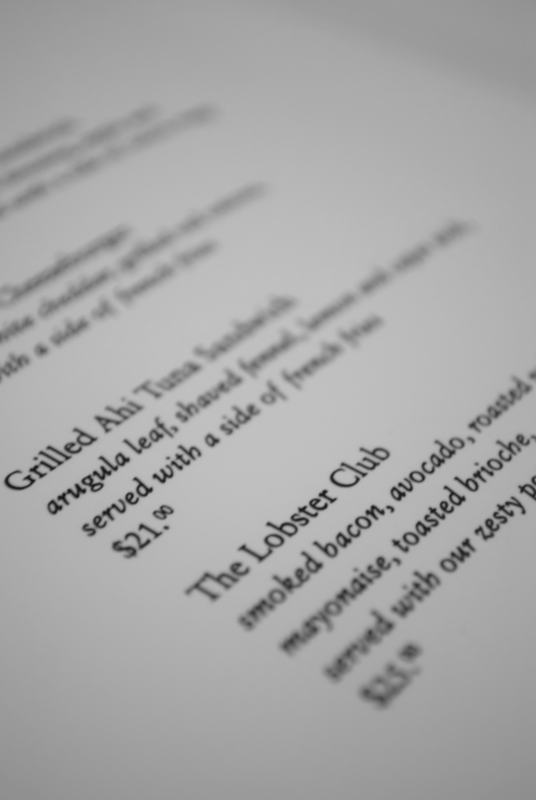 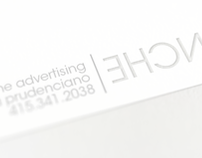 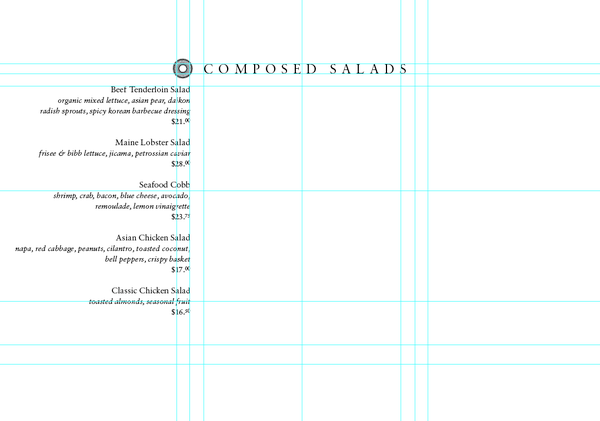 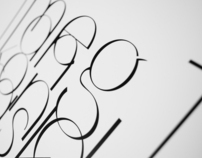 A square grid was established around the emblem and the rest of the menu strictly abides to the grid. 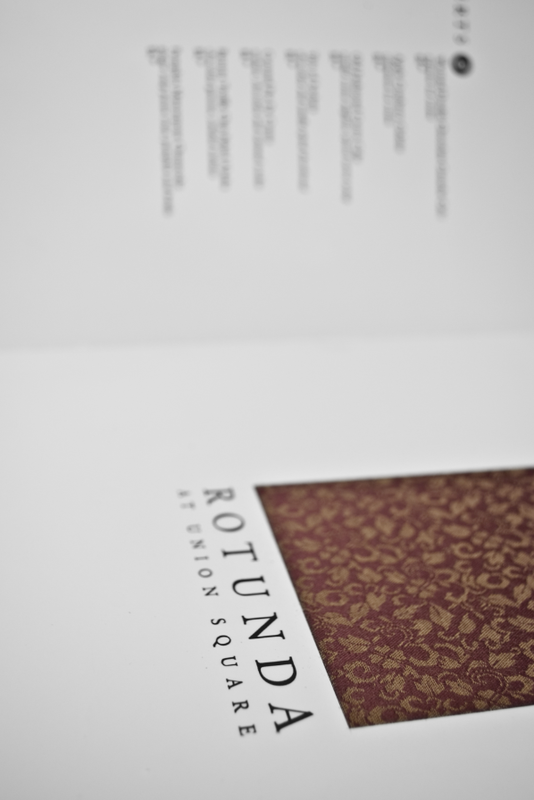 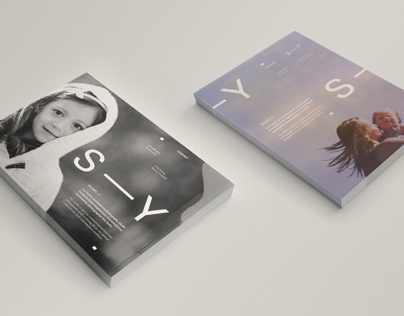 12"x12" menu with 10 panels. 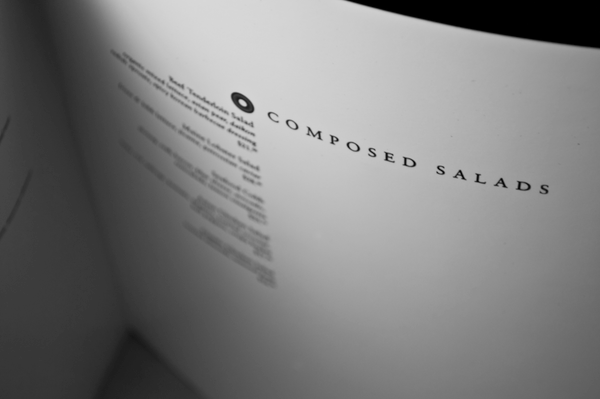 12 foot long accordian fold with faux black leather backing on the white pages to add depth to the minimalistic design. 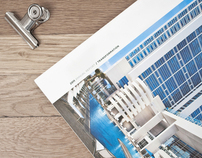 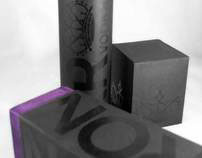 Die cuts reveal a woven silk texture which represents the color scheme, architecture and taste of the amazing building.